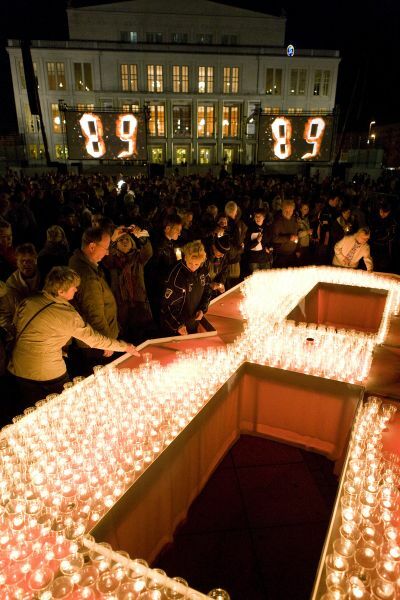 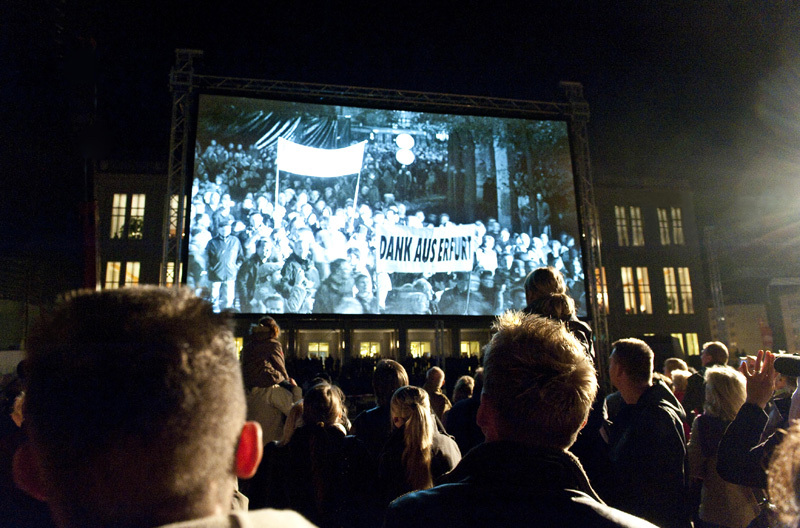 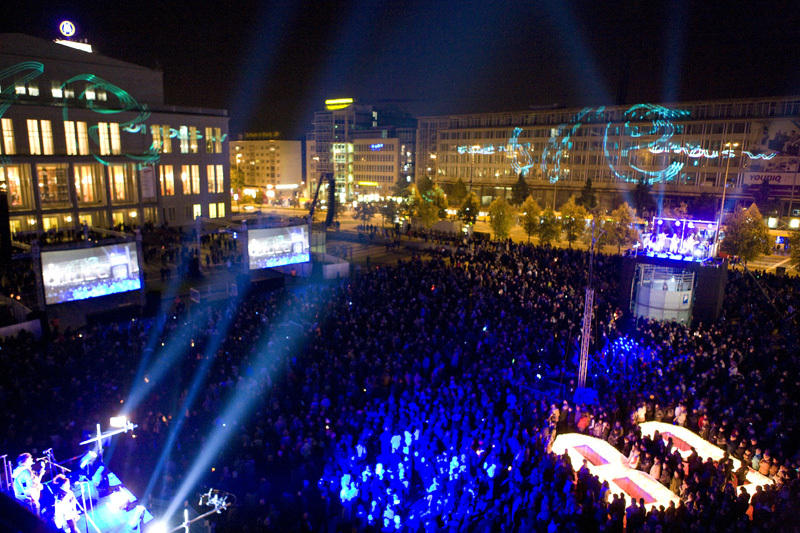 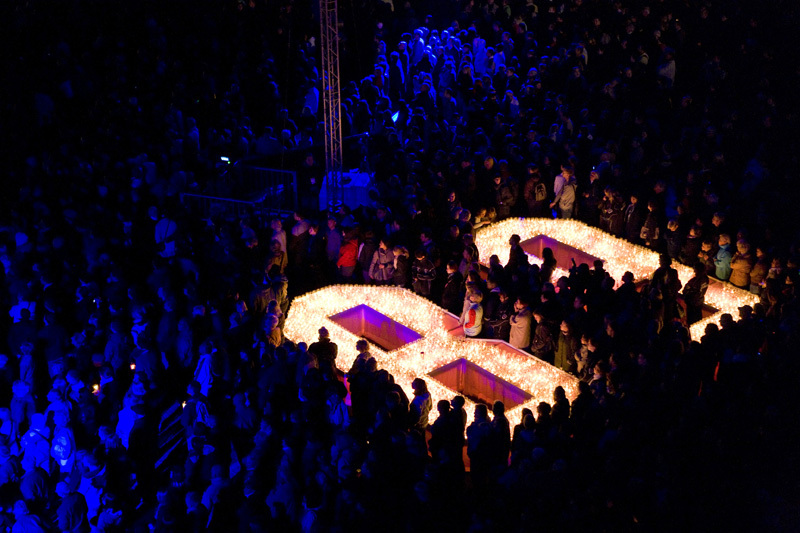 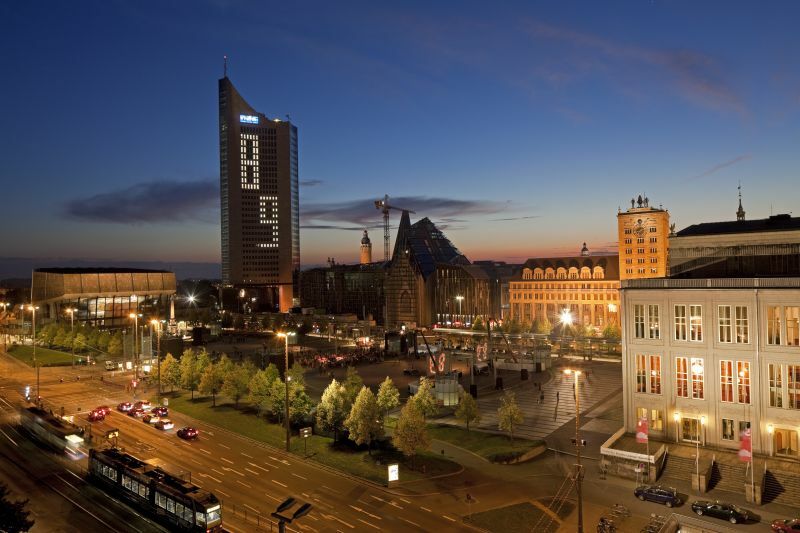 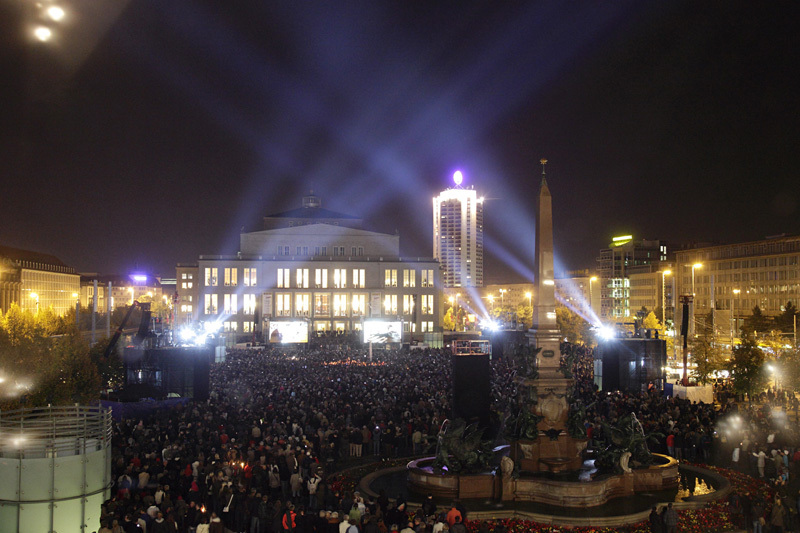 On 9th October the Leipzig Festival Lights provides a platform for joint commemoration and active participation. 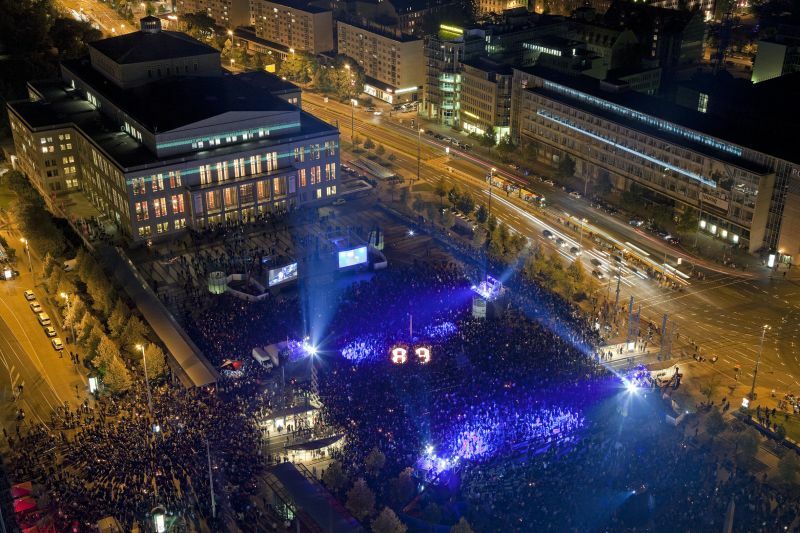 Celebrating ’20 Years of German Unity’, Augustusplatz square hosted the art and citizens’ project of Leipzig Tourismus und Marketing GmbH (LTM), the City of Leipzig and the project initiative Autumn 1989. 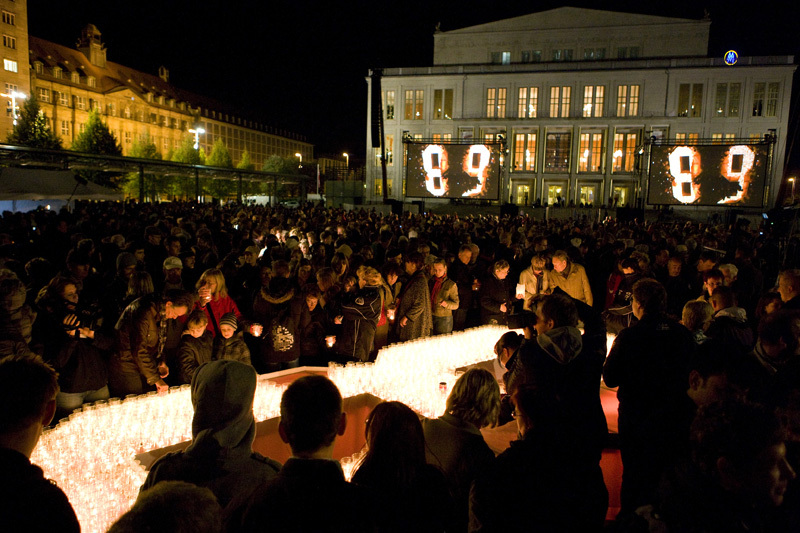 The concept combined various projects to create an overall dramaturgy: Sound and music elements were atmospherically intertwined with light effects and a brightly shining ‘89’.